Weaving Roots Farm uses organic practices for our vegetables or flowers. We are not certified at this point, but we are talking about it for our future. 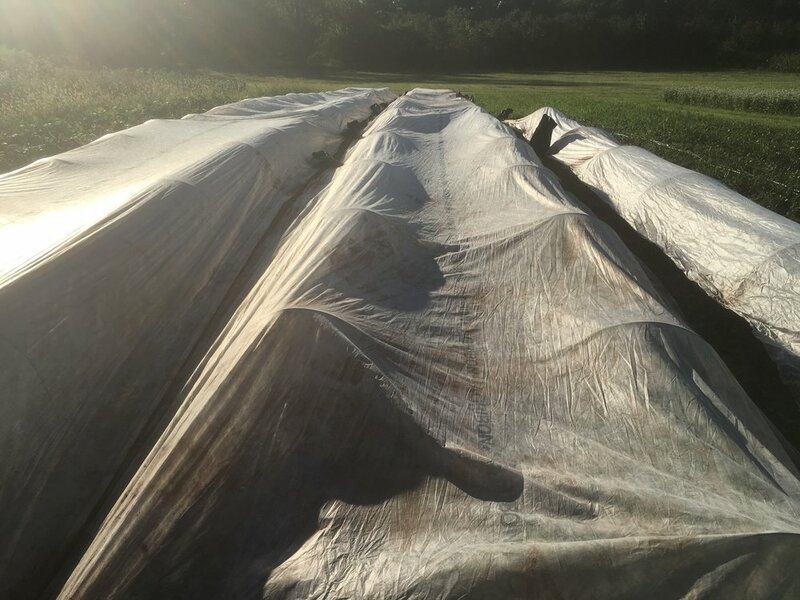 We utilize cover crops, composting, some no-till methods on beds, crop rotation, row cover for insects, and flowers (for beneficial insects and for sale) as part of our dedication to sustainable farming. As the years go on, we hope to continue to improve the soil, our insect and bird friends, and build a strong bond within our farm and our community.